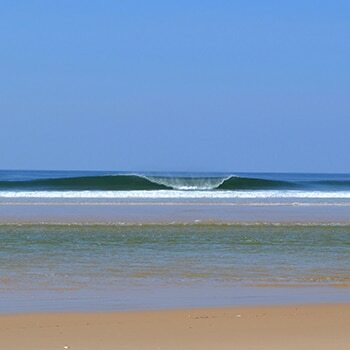 You dream of surfing on the Atlantic coast? 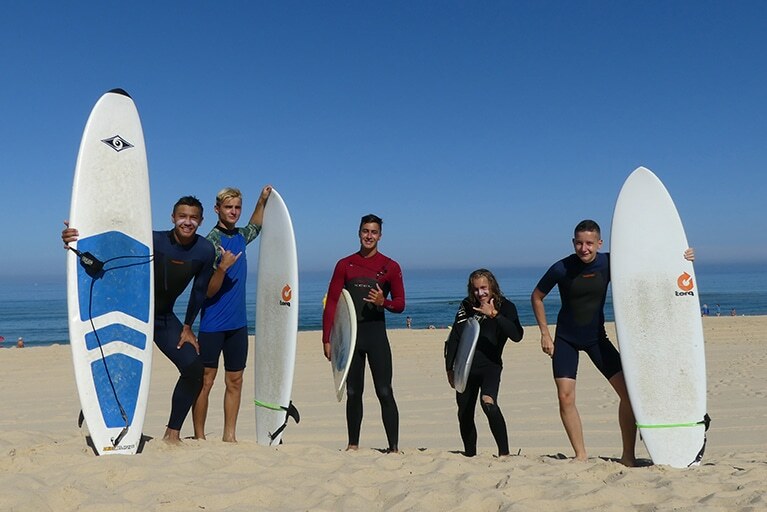 Beginner, advanced or expert surfers, Messanges surf school propose you an all inclusive package with a 5 days-surf course and full board accomodation for a surf week, open to all! Several options are available to you. 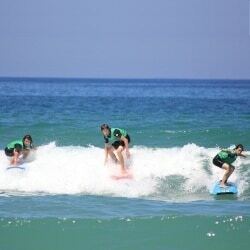 With friends (adults), family or alone, come and enjoy the surf, beautiful white sand beaches and good atmosphere !! 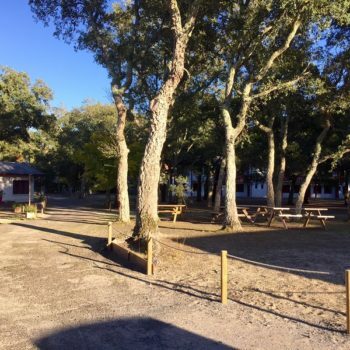 You will be hosted in the holidays center of Vieux Boucau CBE horizon in the heart of Landes, 100 m of the marine lake, 900m from the ocean and at the edge of the Landes forest. Full board accomodation available under canvas or in rooms. 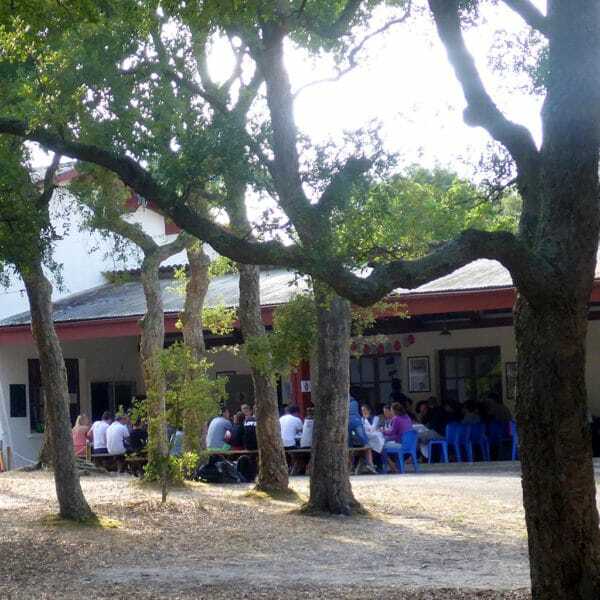 20 rooms from 2 to 6 beds and 3 tents of 8 places is 24 beds from June to August. At your disposal: Wooded area of 5000m², covered terrace, dining room, 1 63m² room, a covered sitting area, table tennis, TV. Forget your car !!! 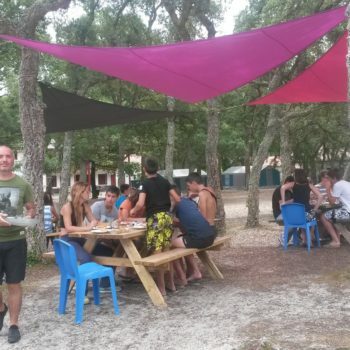 You will move by bike to your surf course for 100% natural holidays. Bring your guitars to set the mood and your go pro for great surf memories! 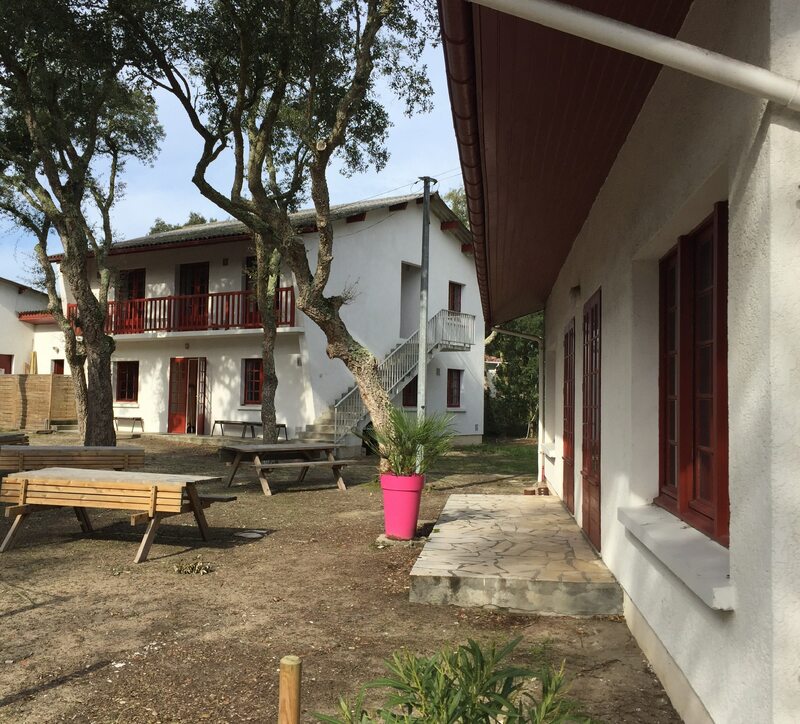 We have been working with several groups from the UK (ie PGL), France and Germany. We follow safe and secure operating procedures which meet both French and UK requirements in accordance with BSA Approved School scheme. 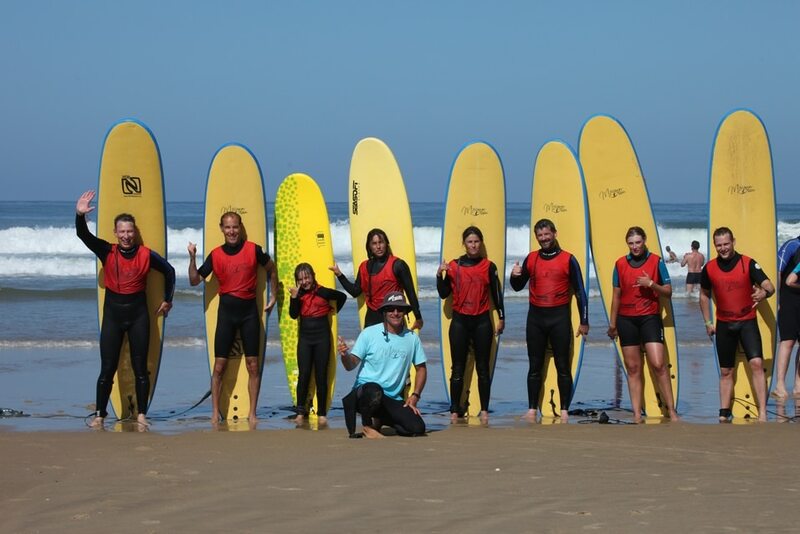 Our team of surfing instructors aims at inspiring confidence and bringing success and enjoyment without compromising safety. 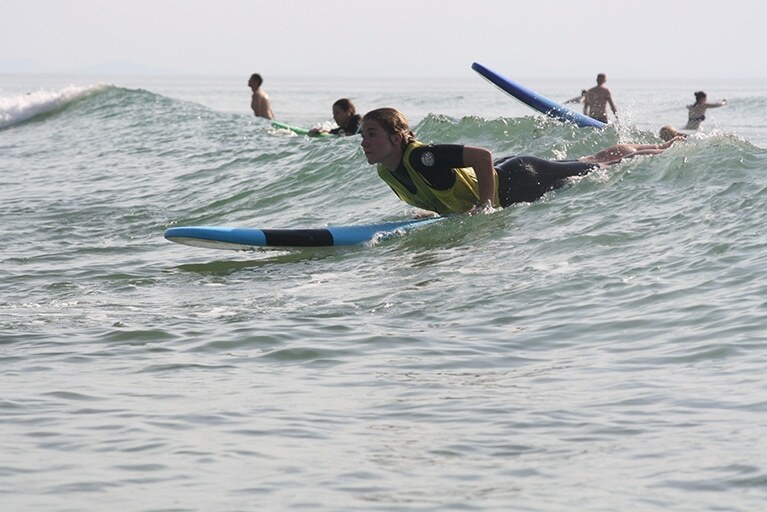 The course begins with an aquatic fluency test, main safety rules and basic advice. 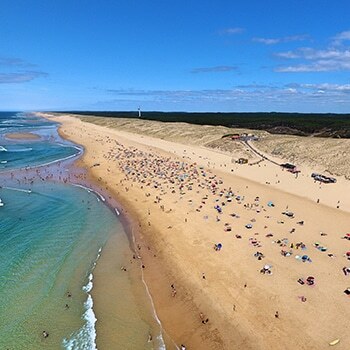 There is also personalized and thorough explanations on technical and autonomy in the water, seamanship and natural environment. All this happens naturally during each session in order to allow everyone to progress while having fun.